What is the airport's three-letter airport code? 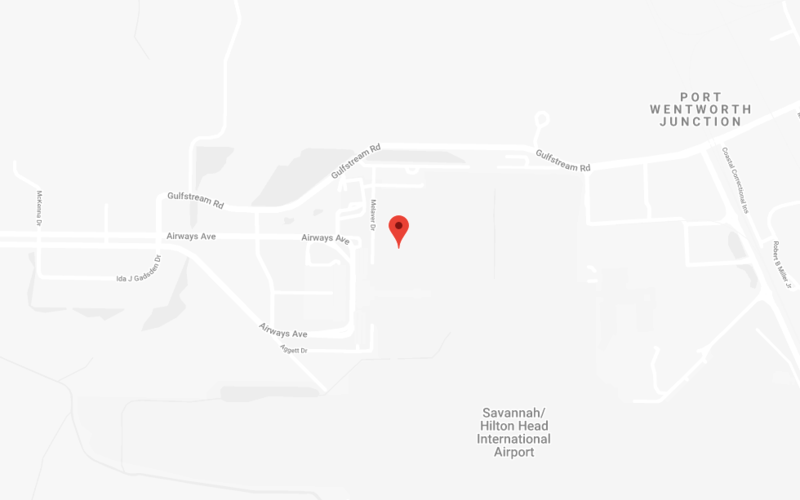 SAV — it is the identification code assigned by both the Federal Aviation Administration (FAA) and the International Air Transport Association (IATA) to Savannah/Hilton Head International Airport. What is the airport's address? What time does the airport open and close? The main terminal building at the Airport is open 24 hours a day. Are military families provided access to the gate? Upon arrival, customers can check with the passenger’s arriving or departing airline for a military family member gate pass. How can I contact Savannah/Hilton Head International if I have a question not listed here? Please call (912) 964-0514 or email the airport at info@flySAV.com. How early should I arrive before my flight? We recommend arriving at least 1 1/2 hours (90 minutes) prior to your scheduled flight time for parking, check in and passing through security check point. Please check with your airline for further arrival information. What are my parking options at the airport and how much do they cost? Savannah/Hilton Head International offers several parking options, including valet parking service with drop off on the upper level, a Long Term/Hourly parking garage adjacent to the terminal building and an Economy parking deck and surface lot located behind the Long Term/Hourly garage parking. The terminal building is quickly reached by both parking areas. To review a complete list of the parking rates and map of the parking areas please click here. What security regulations should I be aware of before I travel, and what items have been banned from my carry-on luggage? Please check the Transportation Security Administration’s website for the most current updates on prohibited items and regulations by clicking here. What ground transportation companies are authorized to pick up passengers from the terminal? Local ordinance requires that all ground transportation companies be authorized by the Savannah Airport Commission in order to conduct business in the terminal. The Commission is pleased to authorize dozens of transportation companies to assist the traveling public in reaching their destination. While the Commission does not recommend one company over another, we have nonetheless provided a list of authorized companies for your use. This list is available by clicking here. Is there a shuttle available to take me to Hilton Head Island? Please click here for a list of Ground Transportation companies that serve the airport. You can travel by shuttle, rental car or taxi to Hilton Head Island. When we arrive in the airport, where can we go to find information about the area, a schedule of events, brochures and maps? The staff at the Savannah/Hilton Head International Visitor Information Center can handle any visitor’s informational needs. Using mapping software, the staff can create custom maps to any destination within North America. The Visitor Center also has the largest collection of brochures in the region. A calendar of events is also available upon request. The Visitor Information Center is conveniently located in baggage claim on Level 1 of the terminal. More information about these services is available by accessing this link. How do I contact the Airport Lost and Found Department? You can contact the Airport Lost and Found Department by calling (912) 964-0514 or by clicking here. How far is my destination from the Airport? The Savannah / Hilton Head International Airport is in a great location for sightseeing. The terminal is just 20 minutes away from Historic Savannah, 45 minutes away from Hilton Head Island, 45 minutes away from Parris Island Marine Corps Base and less than 2 hours away from the Golden Isles and Charleston. Feel free to stop by the Visitor Information Center (located in baggage claim) when you arrive for directions and further information to your destination. Do we need to rent our own car if we are staying in downtown Savannah? Most of the downtown attractions are within walking distance of each other. Unless you plan on visiting attractions outside the downtown area, you probably will not need your own transportation. The My TSA mobile application (app) provides airline passengers with 24/7 access to the most frequently requested airport security information on any mobile device. Using this app can save passengers time and money by sharing helpful tips to prepare for security before getting to the airport, including knowing what items can and can't go through security in checked or carry-on baggage. The Air Canada App delivers the mobile tools and services you need directly to your Apple or Android device. With Allegiant's new mobile app, you can say goodbye to the paper boarding pass and hello to the speed and convenience of smartphone technology. Download our travel app to make planning and managing your trip a lot easier. Now you have all the information you need, when you need it. Versatile, capable and reliable, the Fly Delta app on your smartphone does practically everything you need to make your travel plans and keep them on track. Download the Jetblue mobile app for iPhone® and Android™ or visit mobile.jetblue.com on any mobile device to book a flight, get flight status information, review inflight entertainment options and more! Our app is your travel toolkit. You can book United flights, check flight and upgrade status, view your MileagePlus account information, check in and receive a mobile boarding pass and more, directly from your mobile device. Available for iPhone®, iPad® and iPod touch® devices (as an iPhone app) and for Android, Windows Phone 8 and BlackBerry 10 devices, the United app offers convenient access to your travel information. Download the Avis app for Android to reserve, modify and cancel reservations straight from your device. The app also allows you to view past rentals, request receipts via email, find Avis location information and book from our standard and specialty fleet. The free mobile app allows travelers to make, view, modify or cancel reservations for car rentals at Budget neighborhood and airport locations throughout the United States and Canada. For additional convenience, the mobile app also locates the nearest Budget facility using the device's GPS system. Low rates in the palm of your hand! Make, modify or cancel reservations at all locations in the U.S. and Canada. Store your preferences for future use. Instantly find rental locations. Quickly access your recent locations and favorite destinations. Browse our great vehicles. Log into Dollar Express. Download the National Car Rental® app and tap into the power of more speed, choice and convenience – all at your fingertips. Enjoy saving money on the go. Download the free Thrifty app and make travel planning easier than ever. Make, modify or cancel reservations at all locations in the U.S. and Canada. Store your preferences for future use. Instantly find rental locations. Quickly access your recent locations and favorite destinations. Browse our great vehicles. Log into Blue Chip®. Free download, completely free to use. Full-screen flight tracker maps (with NEXRAD weather). View your custom 'MyFlightAware'. View airport activity (arrivals and departures). Facebook sharing. Worldwide airport delays and airport status.